« What about David’s Darics? 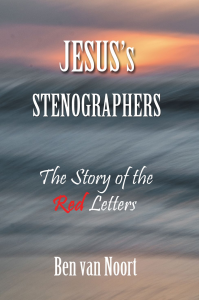 In the twentieth century theologians shifted ‘en masse’ to the view that Jesus spoke Aramaic. They seemed to have forgotten that according to this opinion the New Testament doesn’t really contain the original words of Jesus. The gospels are written in Greek, not in Aramaic, aren’t they? What are the facts? 19 Pilate also wrote an inscription and put it on the cross. It was written, " JESUS THE NAZARENE, THE KING OF THE JEWS." 20 Therefore many of the Jews read this inscription, for the place where Jesus was crucified was near the city; and it was written in Hebrew, Latin and in Greek. 8 And how is it that we each hear them in our own language to which we were born? 11 Cretans and Arabs–we hear them in our own tongues speaking of the mighty deeds of God. 1 Now at this time while the disciples were increasing in number, a complaint arose on the part of the Hellenistic Jews against the native Hebrews, because their widows were being overlooked in the daily serving of food. 1. The people spoke Aramaic in Israel at that time and so did Jesus. 2. A few Semitic utterances of Jesus are to be seen as Aramaic due to the Aramaic words they contain. 1. There are not enough archaeological findings to support argument 1. – Hebrew: niphal imperat. sing. is Hiphphatha and becomes in Greek transliteration Ephphatha, Hi- becomes E-; Compare: Gehinna(-om) becomes Geënna, or Hizkia becomes Ezekia. – In Aramaic it would be: Ephphetha (itpe’el) or Ephphaththa (itpa’al), but never Ephphatha. Sabachthani (You have forsaken me). – Hebrew: usual form is Sebachthani. The form Sabachthani has it's root in the Hebrew Sabachtha (qal. 2 sing. without suffix -ni; you have forsaken). – Aramaic: usual form is also Sebachthani. However, there is in Aramaic no form Sabachtha, only Sebachtha (pe’al 2 sing. ); Aramaic is no option for this form. Equal in Hebrew as well as in Aramaic. Conclusion: there is no evidence for the Aramaic theory (argument 2), but there is conclusive evidence for the Hebrew approach. Of course there are Aramaisms in the gospels, but loan-words borrowed from the Aramaic vernacular, are simply not sufficient for us to conclude that Jesus spoke Aramaic. Even the verb 'Sebach' (Forsake) is a loan-word borrowed from the Aramaic and used in the Hebrew text of the Mishnah (and also in the gospels). The theologians of the twentieth century, who shifted ‘en masse’ to the new view that Jesus spoke Aramaic, seemed to have forgotten the implication that according to this opinion the New Testament doesn’t really contain the original words of Jesus. The gospels are written in Greek and not in Aramaic, aren’t they? The Pentecostal event (Acts 2). It was a miracle to the bystanders that the Galileans spoke the specific language of Judea: Hebrew or Aramaic, whatever one assumes. Anyway it is clear that the disciples of Jesus were acquainted with Greek as their daily language and that Jesus spoke to them in Greek. The early Jerusalem Church had two social classes: a rich Hebrew-speaking group and a poor Hellenised Greek-speaking class (Acts 6). These groups certainly reflected two main social classes of Jerusalem at that time: the Hebrew upper class and a Greek-speaking lower class. Being in Jerusalem, Jesus certainly continued to speak in Greek as he came for the lost sheep of Israel; those who had lost the ability to read the law and the prophets in the old Hebrew vernacular. The inscription on the cross shows the same. Latin was the language of the Romans, the authorities in Jerusalem, but Hebrew was a specific language for the Jews, whatever one wants to choose (Hebrew or Aramaic) and Greek, the third language of the inscription, was spoken by the mass of people that lived and worked in Jerusalem: Hellenised Jews and foreigners. And so … the Greek language (koinè) was used in Galilee and in Judea as the language of the common man and certainly Jesus made use of that language to communicate with the people. Not only is there no conclusive evidence for the theological view that Jesus spoke Aramaic – with the implication that Christianity thus doesn’t possess the authentic words of Jesus – but it is also demonstrable that Jesus spoke Greek and that the Christians are in possession of the greatest treasure on earth: the actual sayings of Jesus – listening to his words is listening to him – and this is still the gift of Jesus’ shorthand writers.